(October 8, 2018) This fall voters will participate in elections for various state and local offices and decide on six constitutional amendments and three city bond issues. Election day is Tuesday, November 6. Early Voting for 2018 has returned to the old Hollywood Video store in York Ridge Shopping Center at the corner of S Tryon Street and Moss Road (11130 S Tryon Street). This site can accommodate up to 24 voting machines, almost three times the number that can fit in the Steele Creek Library Community Room, which was used for the 2017 Municipal Election. Absentee ballots (By Mail) currently are available. Use this link to download a State Absentee Ballot Request Form. 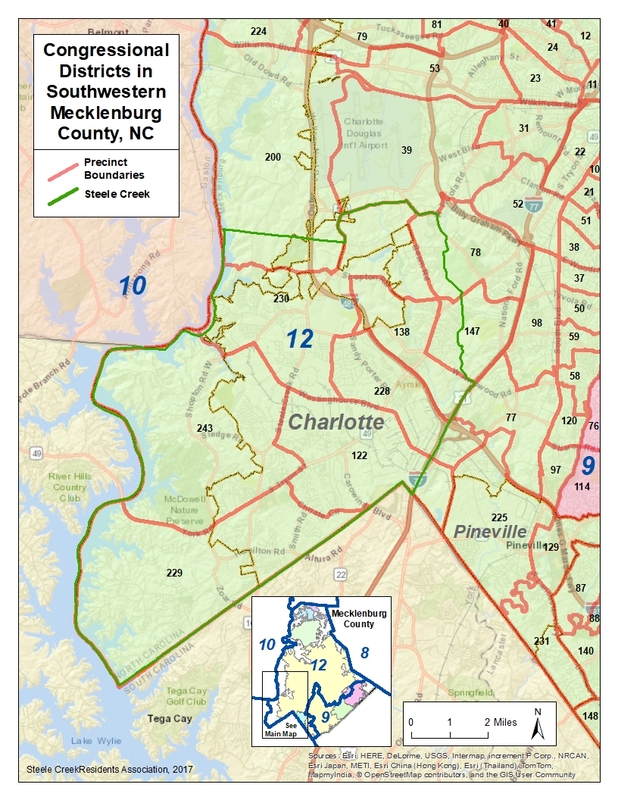 All of Steele Creek is in Congressional District 12. 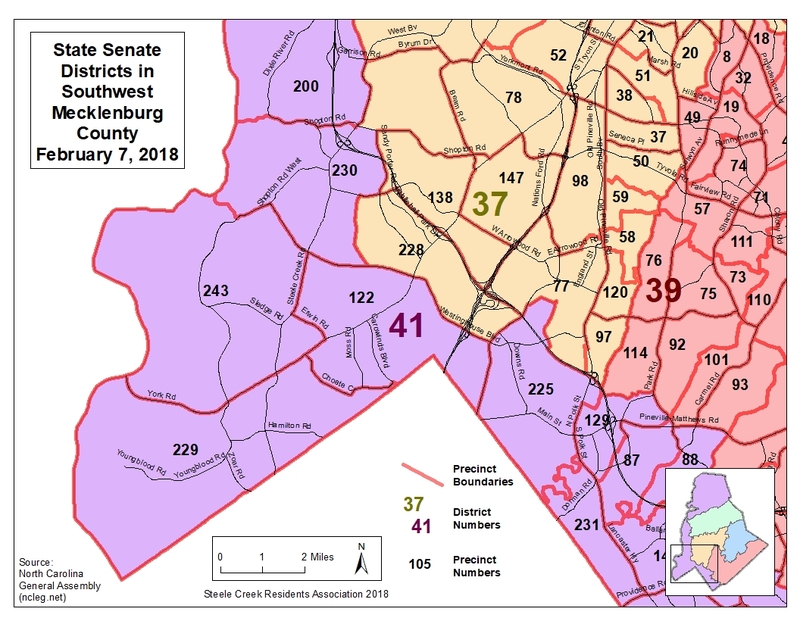 Steele Creek includes portions of two State Senate Districts and two State House Districts. 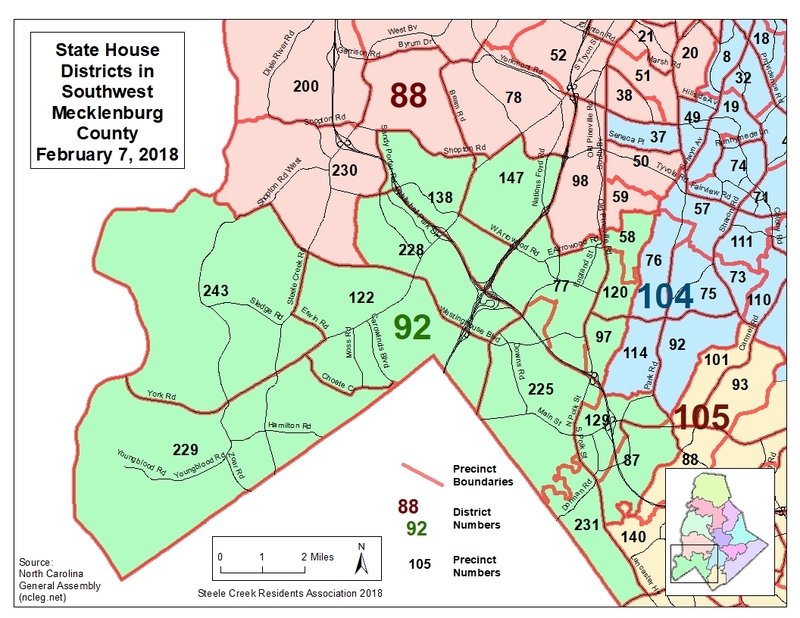 For more information on the new North Carolina General Assembly districts, see General Assembly Districts Will Change for the 2018 Election. The following candidates for Mecklenburg County Board of Commissioners District 6 will appear on the ballot:. Superior and District Court judges will be elected in newly drawn Judicial Districts. All Steele Creek precincts are in Judicial District 26D. There are no Superior or District Court seats up for election in District 26D in 2018. For more information on the judicial candidates, see Judicial Voter Guide 2018 with proposed Constitutional Amendments. The following candidates for the Soil ad Water Conservation District Supervisor will appear on the ballot. This election is nonpartisan. For a listing of all candidates for the 2018 election in Mecklenburg County, see 2018 Candidate Listing. Voters will see six Constitutional Amendments on the ballot. However, the General Assembly has prevented the NC Constitutional Amendments Publication Commission from providing descriptive captions for the amendments on the ballot. Voters may not be aware of the true objectives on the amendments. For example, the last two amendments are designed to give power over filling judicial vacancies and administering elections to the leadership of the General Assembly. The following is taken from the Judicial Voter Guide 2018 with proposed Constitutional Amendments. Voters are encouraged to review this Voter Guide and other resources to become informed of the true nature of the proposed amendments. "The proposed amendment does not include any exceptions. Therefore, in times of disaster or recession, the State could have to take measures such as cutting core services, raising sales taxes or fees, or increasing borrowing." "This amendment...does not apply to absentee voting." Constitutional amendment to change the process for filling judicial vacancies that occur between judicial elections from a process in which the Governor has sole appointment power to a process in which the people of the State nominate individuals to fill vacancies by way of a commission comprised of appointees made by the judicial, executive, and legislative branches charged with making recommendations to the legislature as to which nominees are deemed qualified; then the legislature will recommend at least two nominees to the Governor via legislative action not subject to gubernatorial veto; and the Governor will appoint judges from among these nominees. "This proposed constitutional amendment would create a new process for filling judicial vacancies. The Legislature would play the dominant role in this process." Constitutional amendment to establish an eight-member Bipartisan Board of Ethics and Elections Enforcement in the Constitution to administer ethics and elections law. "The Legislature passed a law in 2017 establishing an 8-member board to administer elections, ethics, and lobbying laws. The North Carolina Supreme Court struck that law down as unconstitutional because it took executive authority from the Governor. The 2017 law also lacked representation of unaffiliated voters. "This proposed amendment would overturn that Supreme Court decision." SHALL the order authorizing $118,080,000 of bonds plus interest to provide funds to pay the capital costs of constructing, reconstructing, enlarging, extending and improving certain streets...be approved? SHALL the order authorizing $50,000,000 of bonds plus interest to pay the capital costs of housing projects for the benefit of persons of low income, or moderate income, or low and moderate income...be approved? 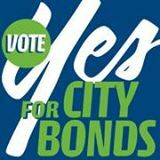 SHALL the order authorizing $55,000,000 of bonds plus interest to provide funds to pay the capital costs of infrastructure improvements for various neighborhoods of the City...be approved? The Neighborhood Improvements Bonds finance the Comprehensive Neighborhood Improvement Program (CNIP), which includes several projects in Steele Creek, including improvements to Ayrsley Town Boulevard, Brown-Grier Road, and Sandy Porter Road, as well as adding a multi-use path along Westinghouse Boulevard. The Steele Creek Residents Association endorses the Charlotte Bonds. For more information on Steele Creek CNIP projects, see Whitehall/Ayrsley CNIP For more information on the bonds, including lists of projects to be funded, see Vote Yes for City Bonds! For information on voter registration, to view a sample ballot, and to see other election information, see Mecklenburg County Board of Elections.